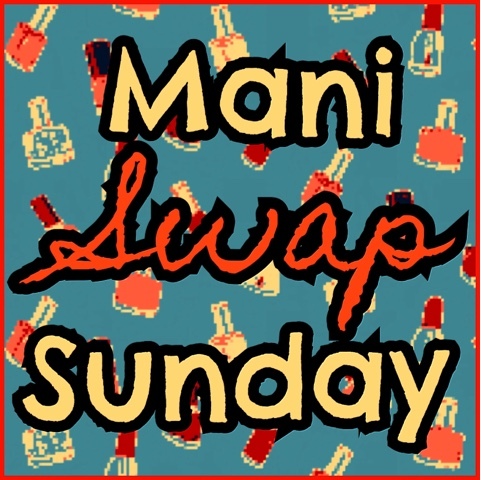 Welcome to another Mani Swap Sunday! 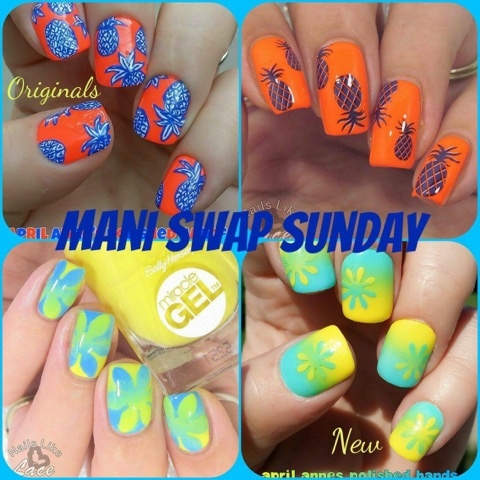 I teamed up again with April and recreated her blue and white pineapples over neon orange mani. I wasn't thrilled with my first attempt, so even though it completely misses the mark now, I went the simpler route and used some water decal pineapples I got from Lady Queen over Virtuous Polish Diligence. Told ya! I never redo manis, but I had to. This was just too embarrassing! My original version used Aurora (a new-to-me brand I got in the last Ipsy bag) Safety Orange, then I used white paint for the pineapples and outlined them with Revlon Indigo Night. April ended up recreating my reciprocal gradient daisies mani I did earlier this month. If you pick anything up at Lady Queen, my coupon code EFLC15 is good for 15% off!